I’d never seen the Karate Kid in my life, only parts of it as a child however because of cultural references and parodies I definitely knew most of the iconic parts of it. I was always curious to watch it and many times almost bought the movie collections but never did. A few weeks ago I saw that they were all on Netflix and when I saw the animated show would be taken off in just a few days it was my cue to finally watch the movies since I am a completist. Let’s see how the series does to someone with no nostalgia for it. Today we take a look at the original trilogy and tomorrow at the other sequels. The 1984 movie is definitely a bit dated in some aspects but its a fantastic movie even today. The pacing of the movie actually surprised me since I expected it to be a little more “by the book” and based on the parodies I thought I knew how everything would go but it had plenty of surprises for me. It’s a feel good coming of age movie that deserves the classic spot that it has cemented. Definitely worth a watch for fans of martial arts movies. Daniel-San and Mr. Miyagi are characters that are very memorable. The first Karate Kid sequel picks up right after the first movie which I liked. I wonder if that part was filmed in the first movie and not used? Makes sense or why else bring back all the actors for a short scene? But Ali’s absence in that intro also points to it being a new scene not to mention how it ties to the ending. Anywho I thought this would be the plot for the third movie and expected the second part to be more similar to the original only dealing with a new challenge, So I give it props that it heads into a new direction. The absence of Ali who is Daniels girlfriend is kind of a bummer since we just spent a whole movie introducing her only to say she fell for another guy, though technically that’s very realistic for their age.. Now going to Okinawa is a good idea but to me it kind of destroyed the mystery Mr. Miyagi had, not to mention it did make him look like somewhat of a coward by running away from his problems and that he didn’t train for as long as we thought in Okinawa. Didn’t like that it deviated so much Not as fun as the original but I give it props to trying something different. I liked Kumiko but the “love” story isn’t developed very well but I guess it makes sense since its just a girl from another country. This film is what I expected from part II and viceversa but it works out like this as well. Having another tournament was fun however even if they tried to up the stakes it still didn’t feel as rewarding as the first tournament. It does re-tread similar ground but not entirely, some of the new parts are great additions even if some them are terrible. Overall its not a bad film, don’t know why it gets so much hate, it’s as good as the second movie and also as unnecessary since the original is a pretty stand alone film but the sequels are far from terrible and a decent addition. I had a few problems with the timeline though, so Daniel is going to go to College? But he just got his drivers license in the first movie and looked 16, they clearly state its been one year since the tournament. Also why do they say he stayed 9 months in Okinawa? Last movie we see he was only there for a short time. And a new love interest? I wonder why they couldn’t be bothered to give him a love interest that lasted more than one movie instead of having a new girl to win over in each movie. I also didn’t understand why the bad guy was training Daniel and helping him, they never outright state it. Was it to injure him? It seemed to be their standard training to make him “strong” and not deliberately to hurt him. 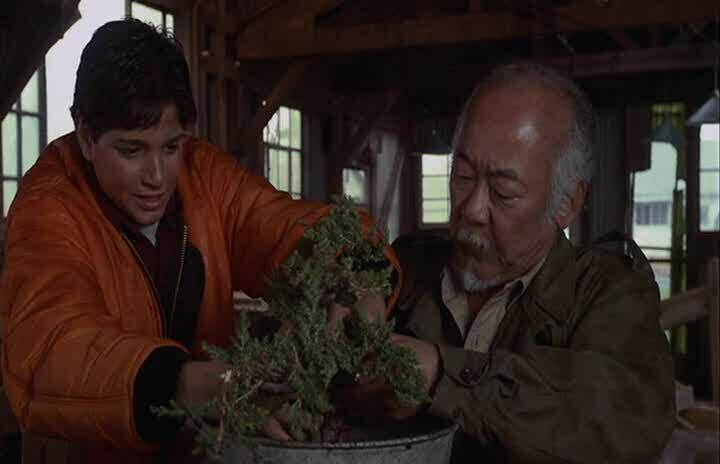 To get to Mr. Miyagi? Was it really worth getting to him by making him stronger? And I thought the plot of him giving away his college fund for the shop meant the shop would be a success at the end of the movie or that the tournament would grant money, it just seemed like a plot they forgot to go back to. The trilogy peaks in the first movie but the two sequels do give us a little more of the universe for those curious to check them out. While part II and III might not be for everyone I’m glad they exist for those who want to see more of what hapepned. 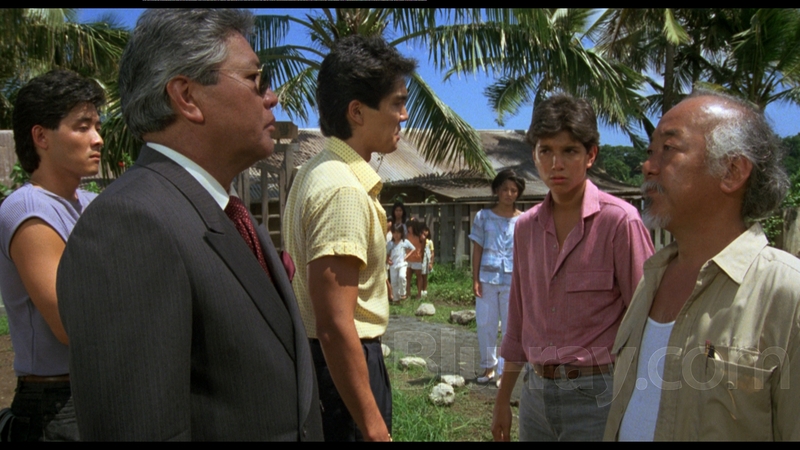 I also like how the Karate Kid movies so far end exactly when the final fight finishes, no need for celebration or dialog, just the final defeat. 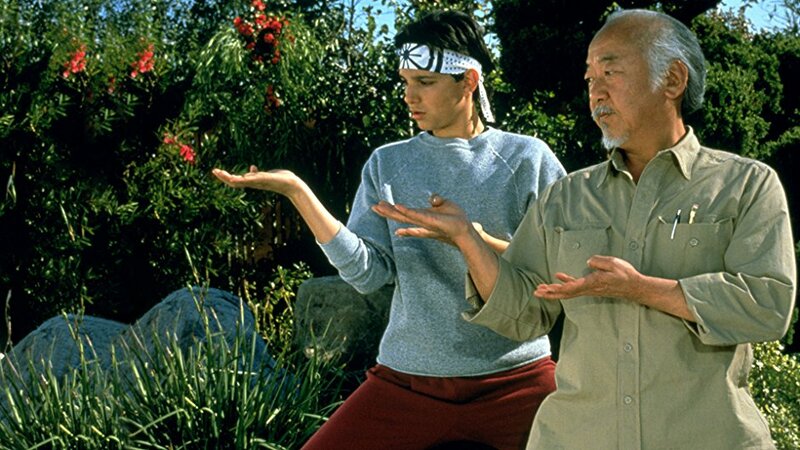 Next story Karate Kid Sequels, Remakes and Shows – Oh My!